Directions: In English and in 3500 characters or less (not including spaces): What specifically has led you to apply for ENSAI's Smart Data program? Explain how your education and/or professional background have prepared you for some of the specific aspects of this Master's degree. Proof of an international bank transfer order (copy of order, screen shot of online transfer, etc.) for the non-refundable application fee of €100 (mentioning candidates' name + Smart Data). Payment of tuition & fees form duly completed and signed. 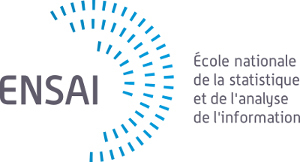 If the jury selects your application, you will receive an admissions offer from ENSAI for the 2019-2020 academic year. This document is a commitment to pay all tuition & fees upon acceptance of this admissions offer. These requested documents must be submitted one by one. Make sure you upload ALL of them. You can click on this link to check the list of the documents that you have already uploaded.